Mahan Law sees itself as a strategic advantage when representing its small business clients. Legal input is imperative to a company's strategic decisions and having an experienced and knowledgeable legal counsel can be the difference-maker in competitive markets. We understand that every client and their needs are unique and balance the interplay between business practices and the legal environment, which is why our clients have consistently provided us a five-star approval rating. Our firm advises and represents companies and entrepreneurs with a broad range of business related services from start-up to dissolution and everything in-between. 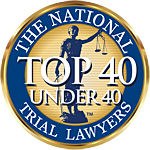 Our attorneys have experience representing businesses ranging from small mom-and-pop establishments to fortune 500 corporations. However, our passion is representing small to mid-size businesses across various stages of growth. Below is a sample of some of our small business services (all of which are available services under our monthly retainer plans). Starting a business requires thorough planning. Our firm assists business owners in the formation of legally sound business entities and helps entrepreneurs devise business strategies that help them achieve their goals. We advise on the business startup and formation process as well as issues related to selection of entity type and jurisdiction, including corporations, LLCs, LLPs, etc. Whether you are looking to start a new business or expand a current one we can help! We also advise on and draft shareholder agreements, membership agreements or partnership agreements as part of the entity formation process. Find more details about our business planning services here. Purchase or sale of a business is a complicated process for which experienced legal counsel is essential. When representing clients in such transactions, our attorneys start the process by learning as much as possible about our client's objectives in the transaction in order to advise him or her on a comprehensive set of issues ranging from business matters and financial risks to legal hurdles. Our goal is to identify possible challenges and put safeguards in place to prevent issues that may arise in the future, from negotiations and the due diligence phase to the final closing. There are two primary methods of transferring ownership of a business, either by sale of the businesses’ assets or by the transfer of ownership of the entity itself. In addition to negotiating, drafting and reviewing business sale offer letters and agreements, we advise and assist business owners and investors with many other services.